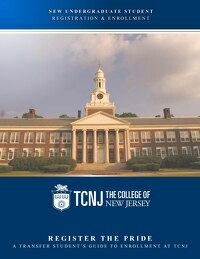 This site provides access to all the tools that you need to guide you through your transition and enrollment at TCNJ. 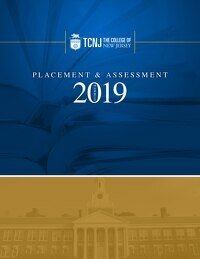 Browse helpful eBooks for enrollment and placement testing,in addition to other valuable resources to ensure a successful first semester. Please submit your enrollment deposit as outlined in your Admissions letter, so that you can access these tools. The credit evaluation is only available for accepted students. Inside you will find the step-by-step process on how to prepare for registering for your first semester. This includes how to access your email, check your requirements, build your schedule using the PAWS system and more. This book provides information for placement tests and assessments for writing, language and math courses. Here, you will find important dates for the placement tests. Check this booklet to see if your major has a math and/or language requirement.